When the old gods died, there arose new ones. And most fearsome of them all was the mighty Darkseid, lord of fiery Apokolips. 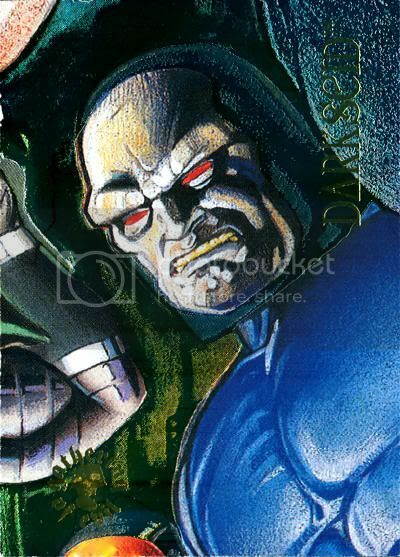 Ruler supreme of the planet Apokolips, Darkseid is one of the most powerful beings in the universe. Astoundingly strong and virtually invulnerable, I suspect that Darkseid has yet to display the full extent of his power. He would be the very definition of evil... were it not for his damnable sense of humor.